Headphones are objects of tech popularity. Black is the new Black with centered white letters is the latest style trend in my fitness circle. While at the gym I noticed a number of members using Marshall’s. The connected fit sect has moved on to a new brand. Bold colored head devices with a stylized “b” are not longer favored judging by my daily observations on the treadmill. 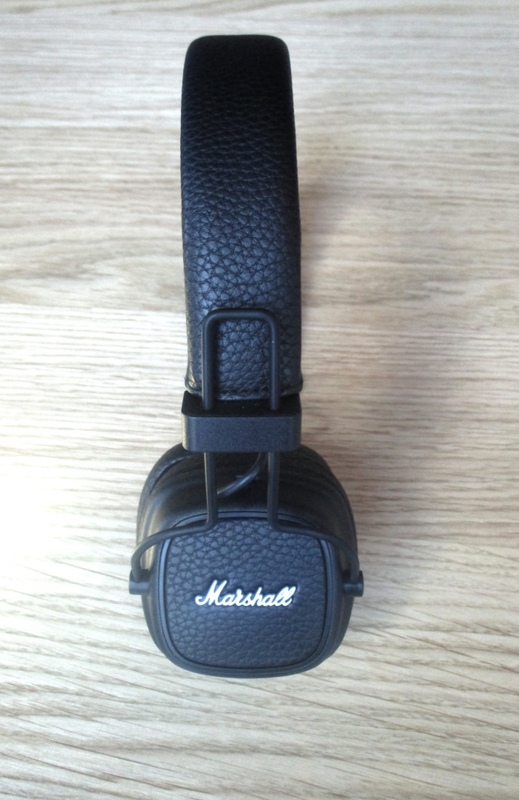 The Marshall Major III Bluetooth over ear headphones look good. On the box it says “30+ hours of wireless playtime.” Does it live to the hype? It was hard for me to disprove. I used the headphones without charging for 24 hours. When the device is low on power, there is an audio tone. The recharging time was fast. A red light on the right ear pad indicates charging. A white light means full. A high tech device but simple to use. The left side gold colored button the left side controls volume, bluetooth connection, change tracks, respond to calls. Connecting to Bluetooth was easy, the connection was constant, no problems or interruptions, whether wearing them while walking around my flat or roaming a large workspace. 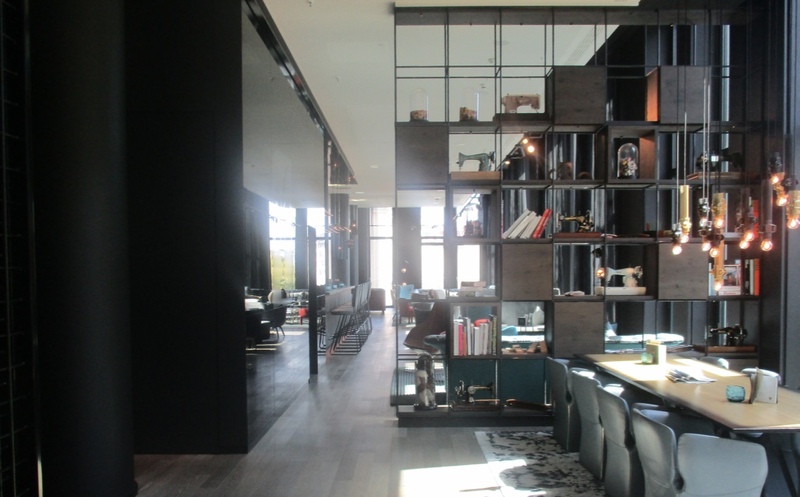 On an aesthetic level the Major III is designed with comfort for long term use. The weight is 180 grams or 6.28 oz.The square shaped ear cups feel nice, each side is labeled “LEFT”, “RIGHT”. The sound quality is good in wireless mode. 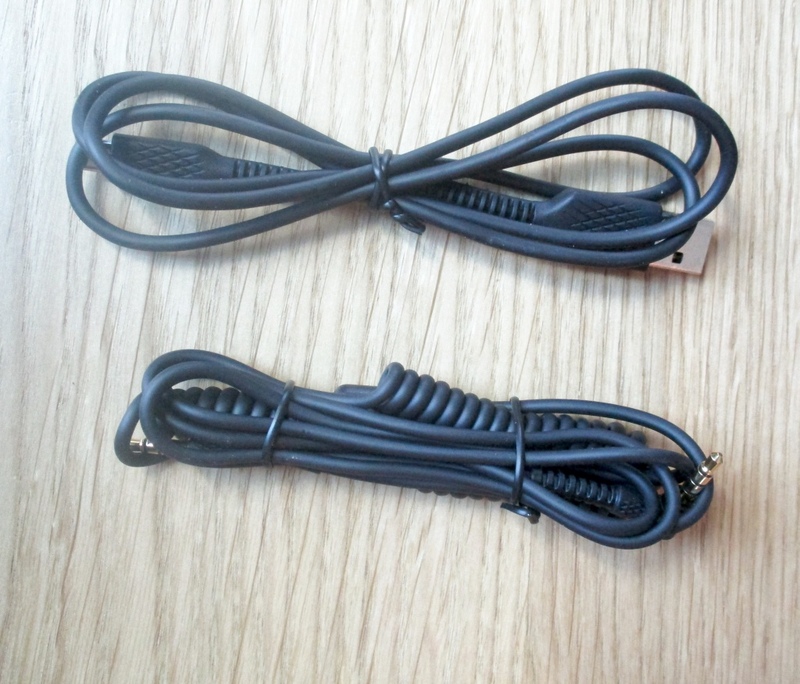 A cord, with microphone, are included for connected activity. As well, there is a charging cable. If you have been following me, you know I am not a fan of overt branding on items I wear. I am not being paid to be a walking billboard. But with headphone gear, wearing branded devices over your ears represent you are a part of a club The cursive logo brand “Marshall” is on the ear cups. Overall, I understand why the Marshall III is popular at my gym. The headset is a combination of dependability and style. 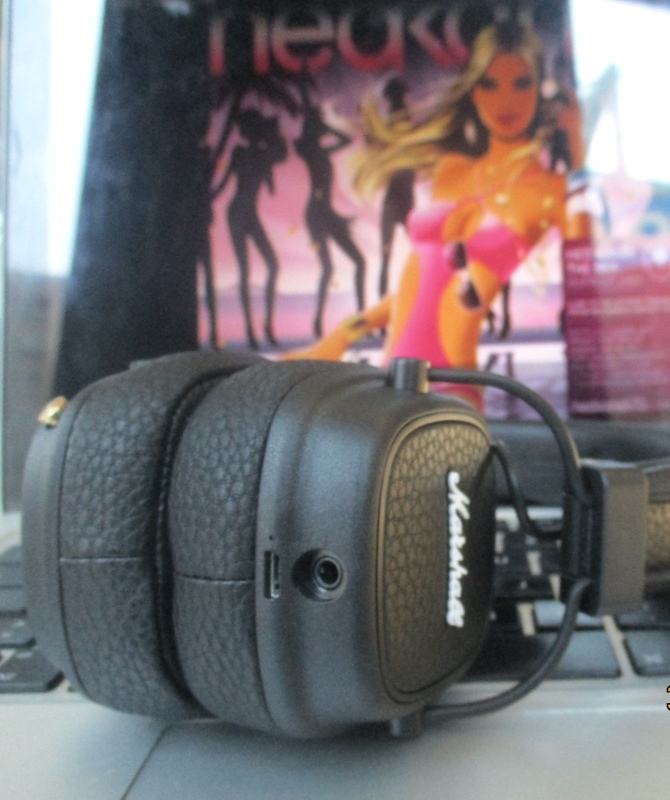 Separator image Posted in Fashion and tagged with audio, audio lover, connected, Headphones, marshall, Music, Tech, tech review, wireless.